A synthetic marijuana product could be available for commercialization after the DEA gave a newly approved drug a schedule II classification. On Thursday, Insys Therapeutics announced that the Drug Enforcement Administration (DEA) issued an interim final rule that would put Syndros, their synthetic marijuana drug, on Schedule II of the Controlled Substances Act (CSA). “Insys is looking forward to bringing this new drug product to chemotherapy patients to help alleviate their nausea and vomiting and AIDS patients with anorexia associated weight loss, respectively,” Dr. Santosh Vetticaden, interim CEO, said in the announcement. “We look forward to interacting with the FDA to finalize the labeling and subsequent launch of Syndros in the second half of 2017,” Vetticaden said. Syndros is a synthetic version of tetrahydrocannabinol (THC), the main psychoactive component in the plant. In July 206, the company announced the FDA approved their liquid form of synthetic THC to treat anorexia associated AIDS patients, and nausea and vomiting induced by cancer patients going through chemotherapy. Insys also opposed legalization in Arizona, donating $500,000 to Arizonans for Responsible Drug Policy, a group opposing Proposition 205, an initiative to legalize and regulate marijuana like alcohol in Arizona. One person has been killed and at least 14 others injured at the Cameo Nightclub in Cincinnati, Ohio, local police report. The victims of the shooting have been taken to area hospitals as police interview witnesses. The shooting happened at about 2am local time on Sunday, WLWT report. Police in Cincinnati say there were “at least a couple of shooters” who opened fire on clubgoers, as cited by AP. Security forces would not immediately report whether anyone was taken into custody over the shooting or what circumstances led to it. According to Assistant Police Chief Paul Neudigate, the incident was one of the largest he has worked on in his career of over 20 years in the force, the news outlet reported. He added that the Cameo Night Club has had issues in the past and that police are having some problems with gathering witness accounts. “Many of them fled, unfortunately. Many of the witnesses fled, but everyone that we can identify is being interviewed,” he told WLWT. Hundreds of people were in the nightclub when the incident happened, the official noted. The Pawnee Nation of Oklahoma has filed a lawsuit in a tribal court accusing multiple oil companies of triggering earthquakes that caused damage to several properties in town. On Friday, the Pawnee Nation filed the suit against the oil companies alleging that they were the cause of the sharp increase in earthquakes over the past few years. One of which – the largest earthquake in the state’s history, a magnitude 5.8, which caused extensive damage to several historic buildings and residential homes in Pawnee in September. “For more than 90 years, these buildings have been a key part of Pawnee Nation, first as our schools and now as the home to our government,” Andrew Knife Chief, executive director of the Pawnee Nation, said, according to his attorneys. “These energy companies must recognize the direct impact of their actions on the livelihood of our tribe and must put an end to their dangerous activities,” he added. The case will be heard in the tribe’s district court with a jury comprised of Pawnee Nation members. If an appeal was filed, the case would be heard by a five-member trial Supreme Court, and their decision would be final. Once the tribal court rules, it can be taken to a state district court for enforcement. Weitz & Luxenberg, who are representing the 3,200-member tribe in court, say that this is the first time that an earthquake case has been filed in tribal court. As a part of the ongoing case, renowned environmental activist Erin Brockovich will also be consulting with Weitz & Luxenberg. Brockovich has already made several trips to the area to talk with locals about how to legally fight the energy giants. The Pawnee Nation is alleging the energy companies caused the earthquakes by injecting wastewater deep into underground wells, where fluids can cause pressure changes and weaken fault lines. 8 Foods That Cause Cancer – You Need to Stop Eating Them NOW! It’s hard to know what’s safe to eat sometimes. Sure, we know to avoid GMOs, high fructose corn syrup, and overly refined foods – but beyond that, it can get confusing. Fortunately, we’re here with expert advice. We talked with specialists from eight different fields, to ask them what food they’d each be certain to avoid; their recommendations are below. 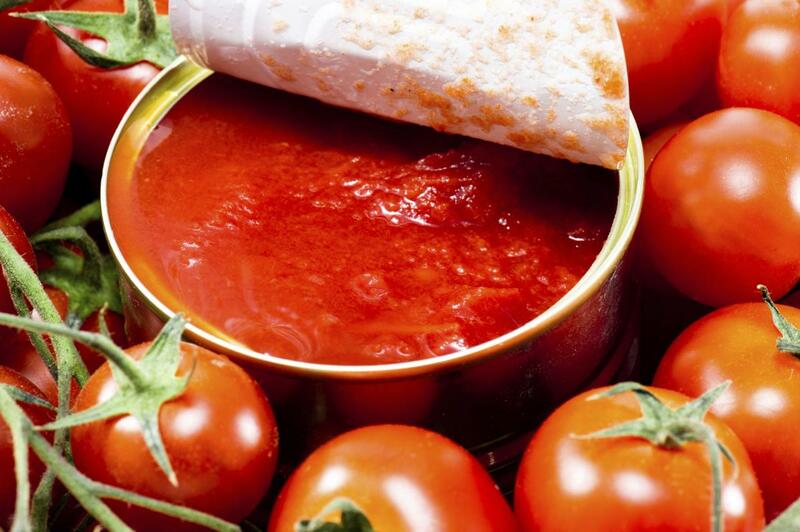 The solution: Choose tomatoes in glass bottles or in Tetra Pak boxes. As Joel Salatin, co-owner of Polyface Farms and renowned sustainable farming author, notes: Cattle evolved to eat grass, not grains. But farmers today feed their animals corn and soybeans, which fatten up the animals faster for slaughter. But more money for cattle farmers (and lower prices at the grocery store) means a lot less nutrition for us. A recent comprehensive study conducted by the USDA and researchers from Clemson University found that compared with corn-fed beef, grass-fed beef is higher in beta-carotene, vitamin E, omega-3s, conjugated linoleic acid (CLA), calcium, magnesium, and potassium; lower in inflammatory omega-6s; and lower in saturated fats that have been linked to heart disease. “We need to respect the fact that cows are herbivores, and that does not mean feeding them corn and chicken manure,” says Salatin. The solution: Buy grass-fed beef. As Olga Naidenko, a senior scientist for the Environmental Working Group, notes: Chemicals, including perfluorooctanoic acid (PFOA), in the lining of the bag, are part of a class of compounds that may be linked to infertility in humans, according to a recent study from UCLA. In animal testing, the chemicals cause liver, testicular, and pancreatic cancer. Studies show that microwaving causes the chemicals to vaporize–and migrate into your popcorn. “They stay in your body for years and accumulate there,” says Naidenko, which is why researchers worry that levels in humans could approach the amounts causing cancers in laboratory animals. DuPont and other manufacturers have promised to phase out PFOA by 2015 under a voluntary EPA plan, but millions of bags of popcorn will be sold between now and then. The solution: Pop organic kernels the old-fashioned way: in a skillet. For flavorings, you can add real butter or dried seasonings, such as dill weed, vegetable flakes, or soup mix.